Dhaka, Nov 26: Rohingya refugees who return to Myanmar following a Bangladesh-Myanmar repatriation agreement will initially have to live in temporary shelters or camps, Dhaka said today. "Primarily they will be kept at temporary shelters or arrangements for a limited time," Bangladesh Foreign Minister A H Mahmood Ali told reporters in the capital Dhaka. The United Nations says 620,000 Rohingya have fled to Bangladesh since August and now live in squalor in the world's largest refugee camp after a military crackdown in Myanmar that the UN and Washington said clearly constitutes "ethnic cleansing". Bangladesh and Myanmar signed the repatriation agreement on Thursday, which would pave the way for an "earliest return" of the Rohingya refugees, according to the deal, which Dhaka released today. Under the agreement, Myanmar "would restore normalcy in Northern Rakhine (State) and to encourage those who had left Myanmar to return voluntarily and safely to their own households" or "to a safe and secure place nearest to it of their choice". 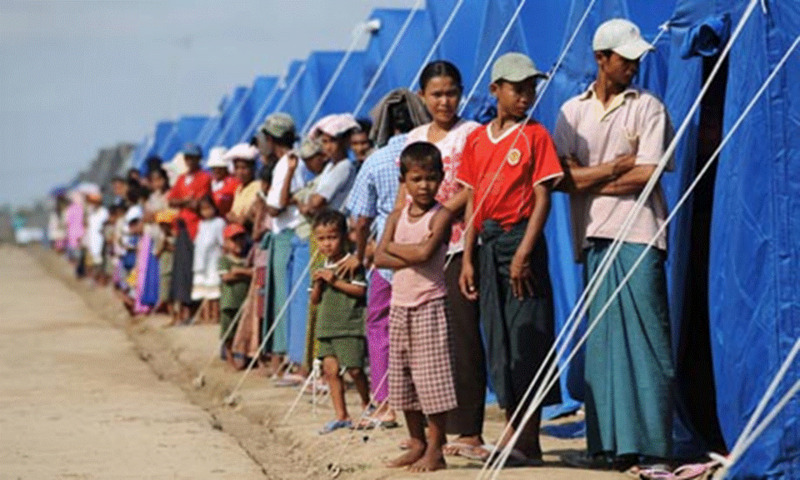 "Myanmar will take all possible measures to see that the returnees will not be settled in temporary places for a long period of time and their freedom of movement in the Rakhine State will be allowed in conformity with the existing laws and regulations," it added. Since most of the Rohingya villages were burnt during the violence, many would have no choice but to live in temporary shelters, minister Ali said. "Most villages are burnt. So where they will return? There are no houses. Where they will live? It is not possible to physically (return to their houses)," he said. The UN refugee yesterday raised concerns over the agreement, saying "at present, conditions in Myanmar's Rakhine State are not in place to enable safe and sustainable returns".